Red Rocks has been blown up! With a brand new National Historic Landmark designation and Tom Noel’s Sacred Stones out of print, it’s time for a new book about Red Rocks Park. 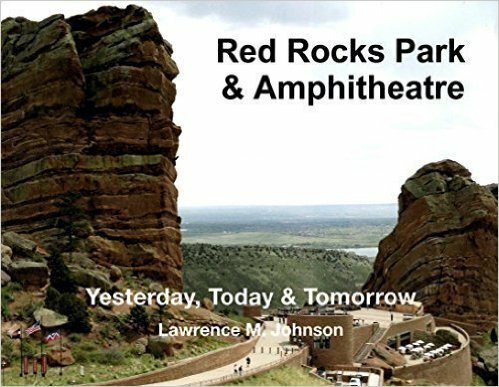 Just in time for holiday shopping, Lawrence M. Johnson introduces the latest in his series of Colorado books, Red Rocks Park and Amphitheatre: Yesterday, Today, and Tomorrow. Available on Amazon.com, or at the Red Rocks Trading Post or Visitor Center, this book contains more than 175 historic and “today” photos, and is $24.99 well spent if you’re an admirer of this park or have one on your gift list. Sacred Stones: Colorado’s Red Rocks Park and Amphitheatre, by Thomas J. Noel, 2004, Denver Theatres and Arenas, 129 pages. 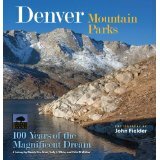 Denver Mountain Parks: 100 Years of the Magnificent Dream, by Wendy Rex-Atzet, Sally L. White, Erika D. Walker, 2013, the Denver Mountain Parks Foundation. Features photos by John Fielder. 144 pages. This entry was posted in information by SLWhite. Bookmark the permalink. Dabbling in many, too many, things.